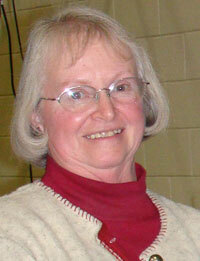 Sharon Kelly has worked for 37 years at UW's Cooperative Extension Service office in Washakie County. Sharon Kelly, office associate in the Washakie County office of the University of Wyoming Cooperative Extension Service, is the Big Horn Basin Ag Ambassadors 2010 Ag Citizen of the Year. Born in Washakie County, Kelly has worked in the extension office 37 years. She and husband, Mason, have a daughter and a grandson. "I was extremely surprised and very happy they would consider me for their ag citizen of the year award," Kelly says. "The Ag Ambassadors are the sponsoring organization for various activities here -- WESTI Ag Days as well as the Ag Appreciation Banquet." She and her husband are 4-H leaders, working with the shooting sports program. She has worked with the Ag Ambassadors since former extension educator Jim Gill organized the group. Kelly also serves as secretary for the fair board, the Junior Livestock Committee, the Worland Shooting Complex and Ag Ambassadors. Ag Ambassador Jim Miller, who recently presented the award, says, "It is said the wealth of a community is measured by the dedication, work ethic and volunteerism of its citizens. By these standards, our local agricultural community is indeed a rich one, and the individual we honor here tonight is a shining example of these three things."